It’s not too late to get started on your holiday marketing. The holidays bring a lot of magic in the air. They also bring opportunities to increase sales. As it is, many small businesses and organizations rely on holiday spending to keep their books in the black. Fortunately, holiday promotions don’t need to be expensive or elaborate to work. Here are several simple holiday marketing ideas you can use to amp up your end of the year campaigns. 1.) Reach out to current customers. 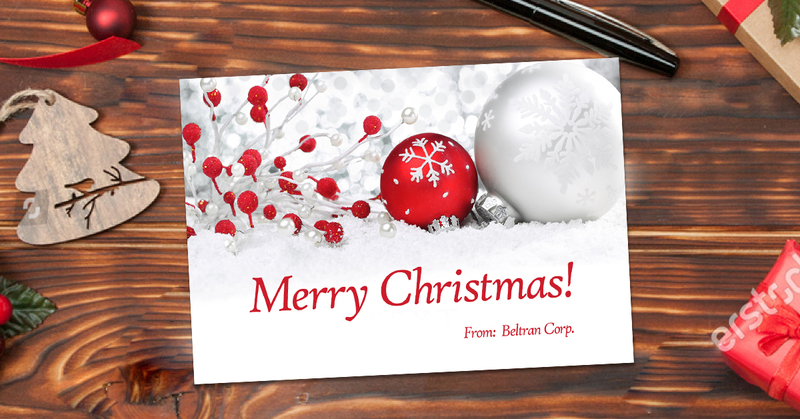 Send greeting cards to customers who’ve left their information with you in the past year. Sure, you can include special offers and discounts, but you don’t have to. The fact that you actually sent something might be more than enough to earn you a sale. 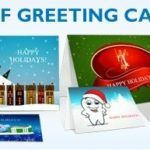 Sending a greeting card, even if it doesn’t get you a sale right away, can still create positive impressions with recipients. 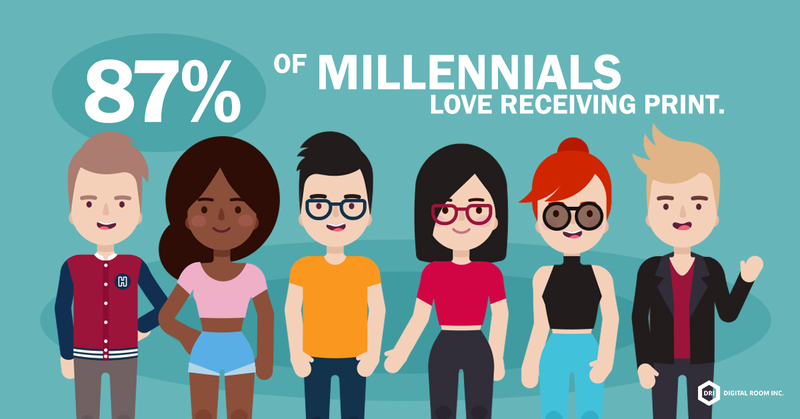 According to the USPS, 87% of millennials love receiving print. Click To Tweet According to the USPS, 87% of millennials love receiving print, with 82% viewing it as more trustworthy. Older generations actually still like receiving print, though to a lesser degree. 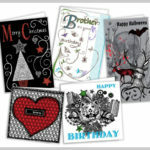 It’s clear that greeting cards go a long way toward generating sales and creating long-term brand advocates. 2.) Get in touch with local businesses. 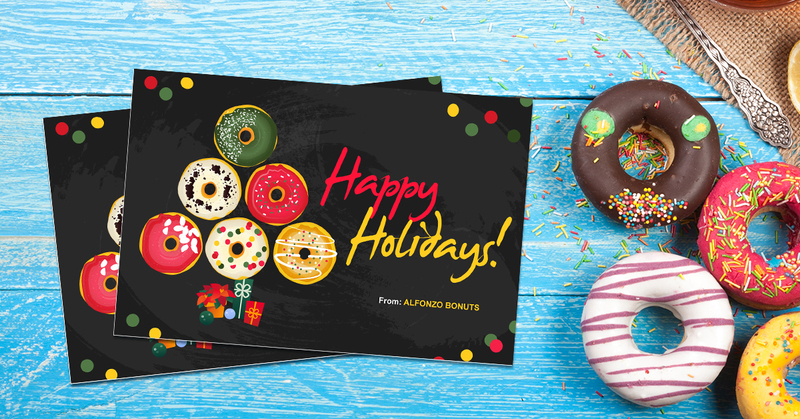 Ask surrounding businesses if they’re willing to team up for some kind of holiday promotion. You could have a holiday bazaar, a shared social media campaign, or even do some kind of cross-promotion where patronizing one business lets you get a discount with the other. You can even trade rack cards to keep in each other’s reception areas. You can base your partnerships on whether your businesses are complementary (i.e. travel agencies and hotels). You can also just form partnerships with businesses that are in close proximity with yours. 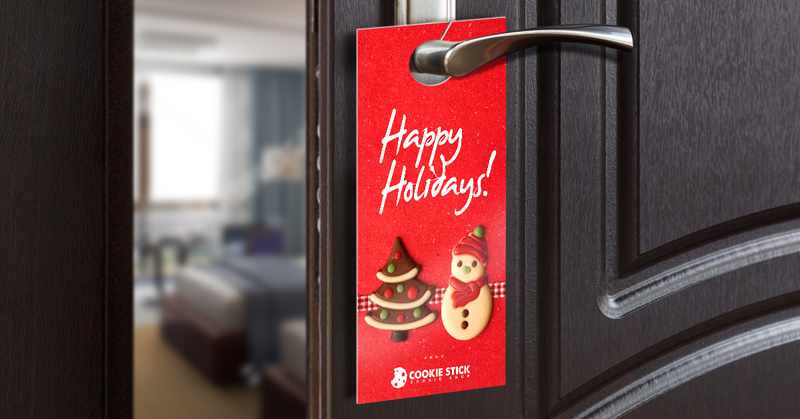 Restaurants, laundromats, and other businesses that rely heavily on local demand can send out door hangers to inform potential customers of holiday promotions and encourage sales. The advantage of using door hangers over flyers is that you don’t need a mailing list and that your materials will be placed directly in your prospect’s line of sight. 4.) Hold special business hours during the holidays. Open early and close just a couple of hours later during the holiday season to accommodate last minute shoppers. Be sure to actually announce your special hours in advance on social media, on those greeting cards and door hangers you just sent out, and through banners and posters on your store windows. 5.) Create a unique holiday event. You can also do an auction, a raffle, or hold a small fair. This can be done in partnership with other local businesses, the local chamber of commerce, and institutions such as schools and social clubs. You can create hype through social media and print materials such as flyers. If you’re going with a raffle, be sure to print custom event tickets with sequential numbering. 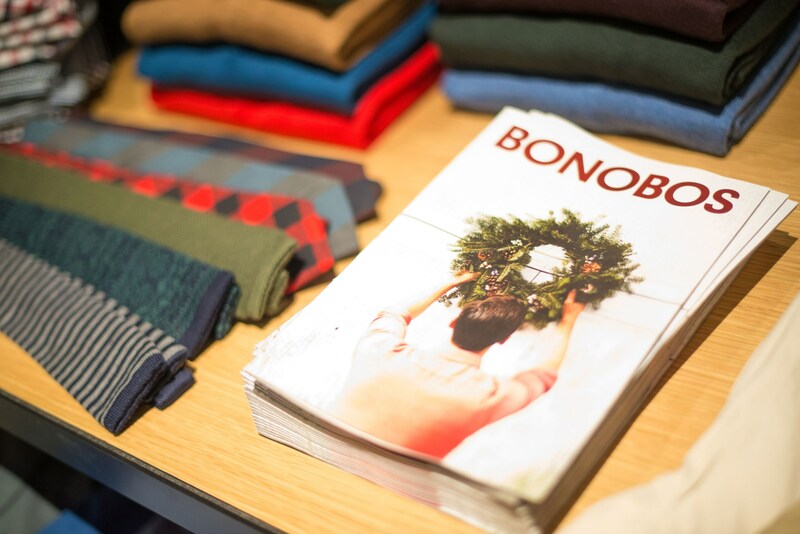 Check out these brand-sponsored holiday events and exhibitions for more ideas. 6.) Help out a local charity. Speaking of events, this one is really worth considering. Find a deserving local charity and offer to help. You can do this by matching pledges and donations from customers, employees and other participating local businesses, or by donating time and expertise. Toyota famously did the latter by teaching Kaizen to a New York charity in the aftermath of Hurricane Sandy. Instead of offering money, Toyota offered to optimize the charity’s processes. At a soup kitchen, Toyota’s engineers shortened wait time from 90 minutes to 18. At a food pantry, they cut down the time it took to fill food bags from 11 minutes to 6. And at a warehouse where volunteers were packing supplies for hurricane victims, Toyota’s engineers found a way to pack one box in 11 seconds down from 3 minutes. By donating time and expertise you will be doing good while also be helping raise your brand’s’ profile. Your business will also be building relationships down the line. You can make these charity drives a one-off or make it a yearly occasion for making a lasting impression. You can also help out with the charity’s marketing efforts by leveraging your own resources into raising donations. If nothing else, you can go with a straightforward appeal for donations. Check out The Good Neighbor’s Club greeting card campaign. Simply by optimizing how they worded the fundraising letter that came with their greeting cards, they were able to get an 875% ROI for donations. Your business can do the same with your own fundraising letters. Get in touch with local musicians, poets, and visual artists and offer some space in your store. This space could be used for holiday recitals, readings, and holiday art displays. This can help your business create connections within the community and provide an important outlet for creative people in your town to express themselves. 8.) Give your customers a small gift. 9.) Send out a catalog. In a previous post, Why Catalogs Became Trendy This Year, we explained why catalogs might be the single best investment your business can make, with one major retailer in 2014 managing to get a return of $262 for every single catalog they sent out. A return rate that’s even just a quarter as good would still be pretty good for most small businesses. 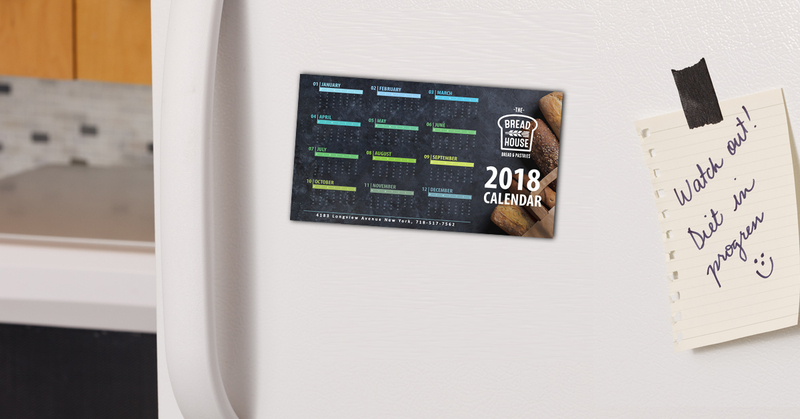 With consumer demand always at a peak high during the holidays, sending out catalogs is a no-brainer. What other holiday marketing ideas would you add? Comment below.